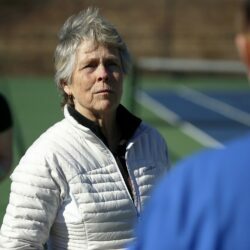 Portland Coach Bonnie Moran has never cut a girl from her program – and has yet to experience a losing season. 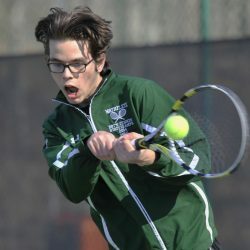 Here are 10 male and 10 female high school tennis players to watch this spring in southern Maine. Falmouth enters the season as the school to beat for both boys and girls. 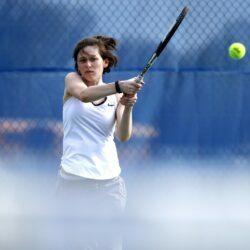 Meredith Kelley's comeback victory in the final match gives the Yachtsmen their 173 straight win, 3-2. Falmouth (Class A) and Caribou (Class B) also earn state championships. 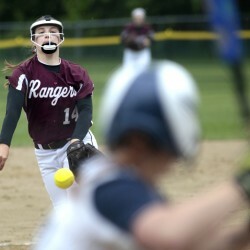 Falmouth continues its dominance in Class A, and Lincoln Academy takes Class B South. 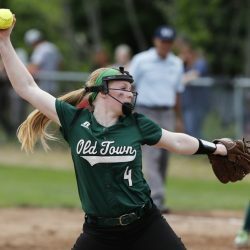 The Falcons will be joined in the state finals by Falmouth and Waynflete. The Falcons win three three-set matches to defeat Yarmouth, 4-1. 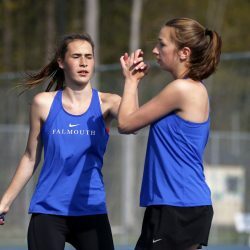 Falmouth teammates and Kennebunk/Wells sisters meet in familiar singles finals. 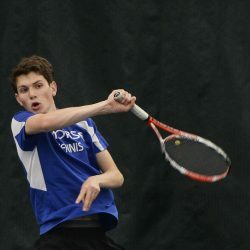 Nick Forester of Falmouth and Rosemary Campanella of Kennebunk/Wells both win two matches without dropping a game. 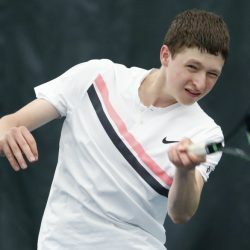 Last year's girls' champion and some of the most talented boys have opted not to play high school tennis this spring. 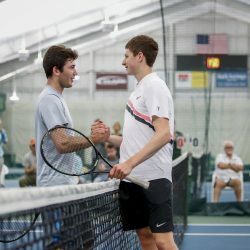 Ian McCallum and Sam Mermin outlast Thornton Academy's Asher Thompson and Jack Cannon in three sets. The streak reaches 167 matches after 3-2 victory against Kennebunk/Wells. The Mustangs break through for a 5-0 victory over Sanford. The Falmouth girls and boys will be tough to beat once again. Eagles draw from across sports landscape to create family bond. 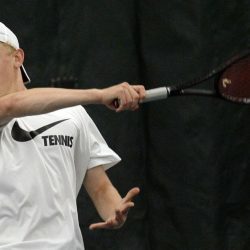 The senior was a four-year singles finalist and two-time state champion. 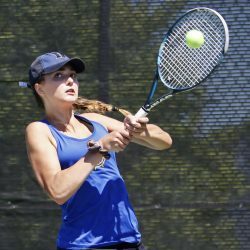 The sophomore rolled through the singles tournament to capture her first state title. Five seniors, two sophomores and a freshman make the list. 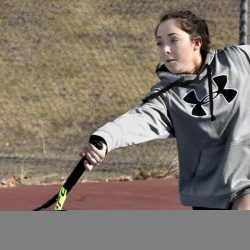 Yarmouth's Lana Mavor leads a team that includes four seniors, two juniors, one sophomore and one freshman. The Flyers sweep George Stevens Academy, as the boys win their 10th straight state championship. 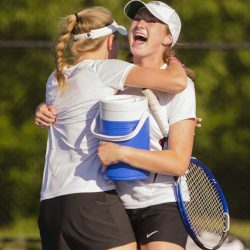 The girls extend their winning streak to 157 matches and have now won 10 straight state titles. Since 2008, it's been many games, sets and 156 matches – the fifth-longest winning streak in the country. 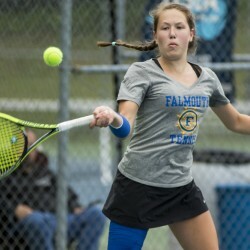 The Falmouth girls and Waynflete boys extend their dynasties as the Yachtsmen and Flyers send both of their teams to the state finals. The Lewiston boys claim the regional crown, also by 3-2 score. 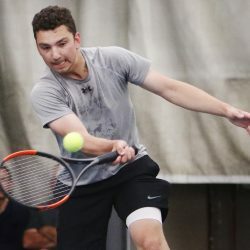 Tuesday's regional finals will be held in Brunswick for classes A and B and in Hampden for C.
It's a struggle for defending champ Nick Mathieu of Mt. Ararat, while Lana Mavor of Yarmouth wins handily. 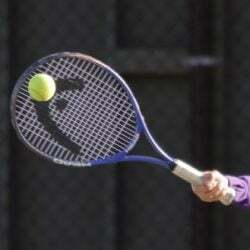 After 63 matches involving 95 players over 11 hours, the field is reduced to the showdown matches. 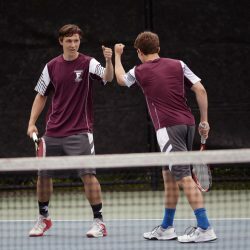 Sophomores from Yarmouth and Falmouth, derailed by injury last spring, have their eyes on singles state titles. 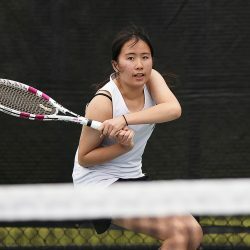 Freshmen and sophomores are among the top players for both girls and boys. 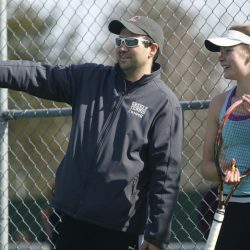 Falmouth girls and Thornton Academy boys top the lists. 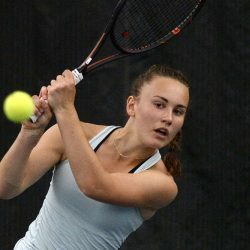 Julia Brogan not only helped her team win a ninth straight state championship, but also claimed the state singles crown. 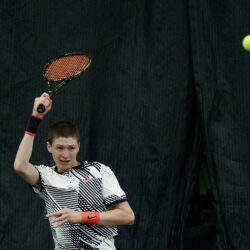 After two runner-up finishes in the state singles tournament, Nick Mathieu of Mt. Ararat finally claimed the title. 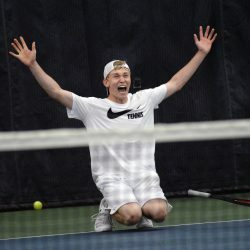 Falmouth runs its win streak to 141 matches in winning its third straight title, while the Trojans win the first tennis title in school history. The Capers win their first title since 2007, while the Windjammers capture a title after losing in the final for two straight years. Falmouth's win streak reaches 140 as it moves on the Saturday's state championship with a win over Scarborough. 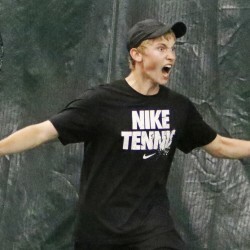 The Capers, Trojans and Flyers move on to Saturday's state finals by winning regional championships. 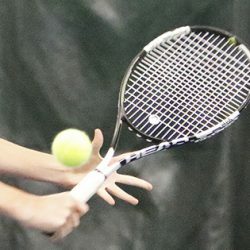 Cape girls and boys sweep Class B, Waynflete boys win Class C at Bates College.